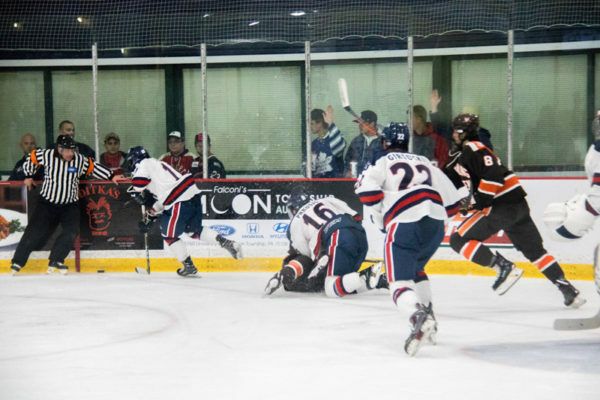 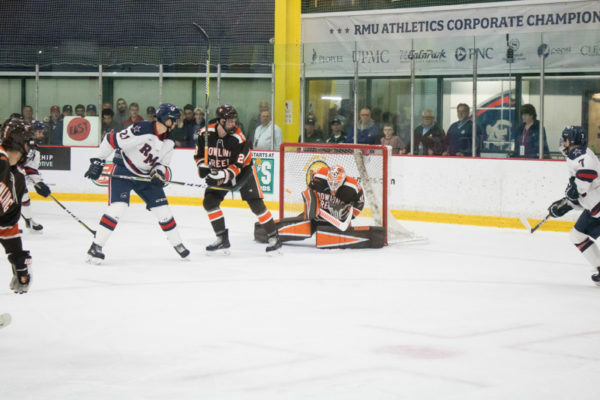 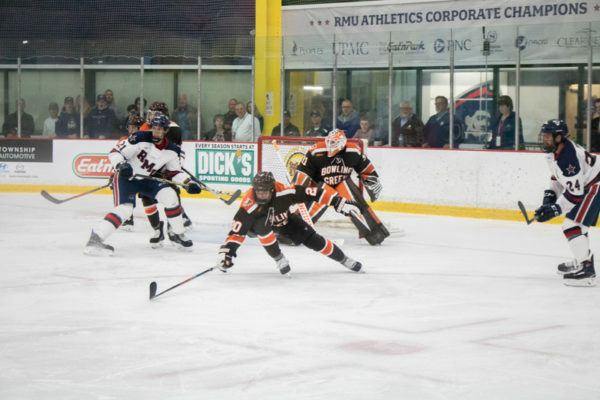 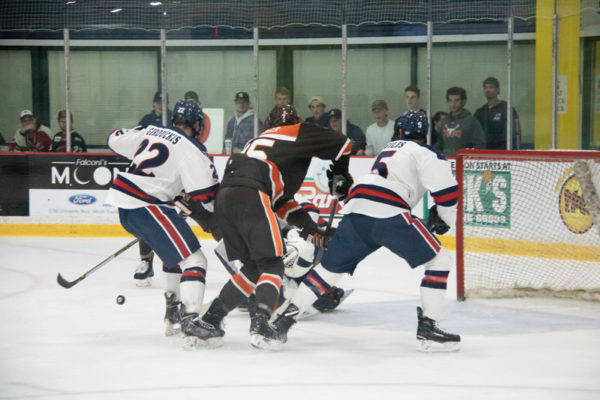 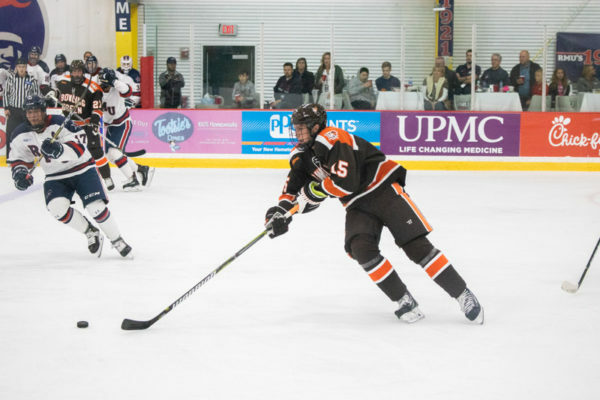 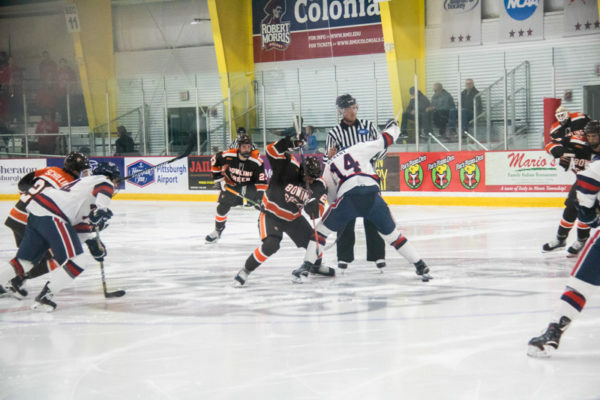 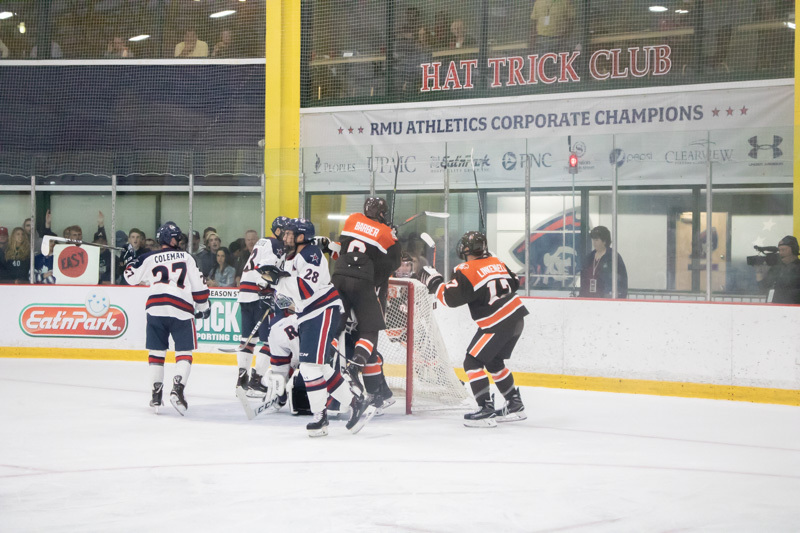 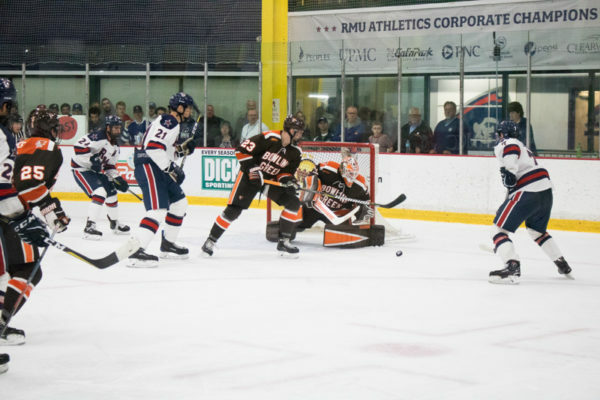 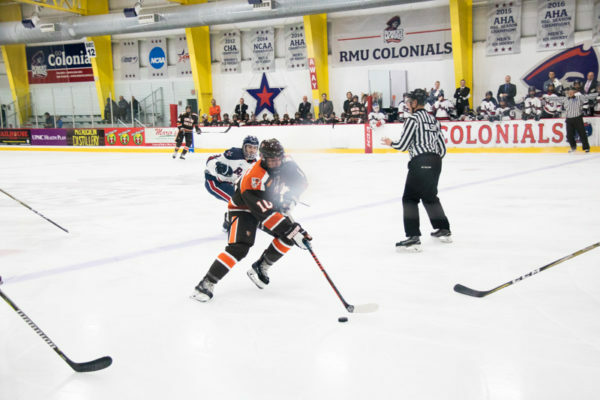 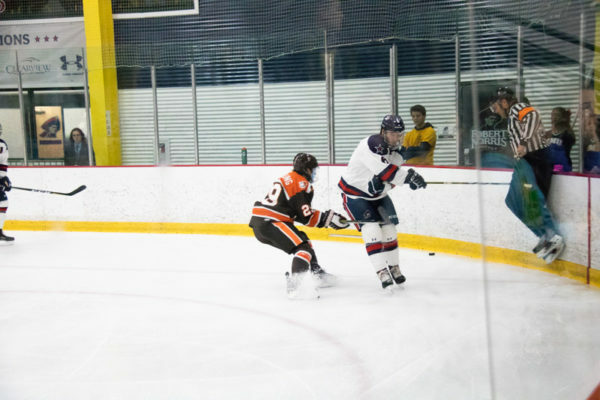 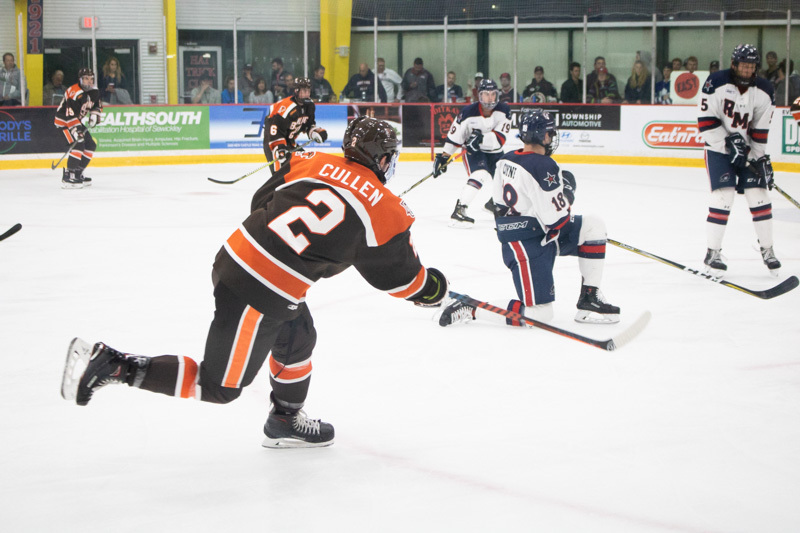 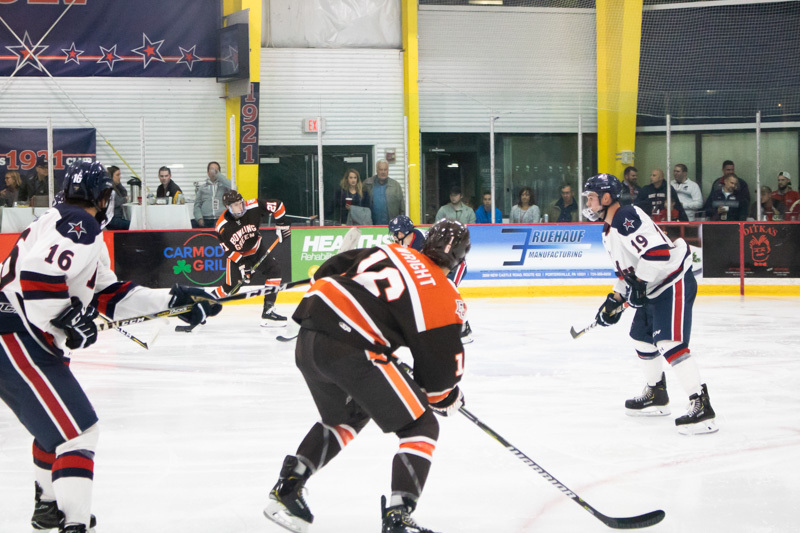 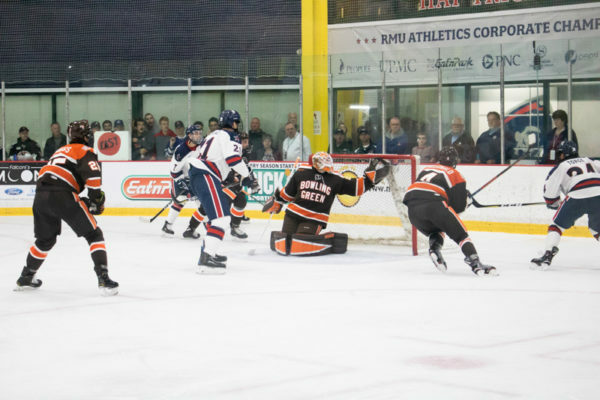 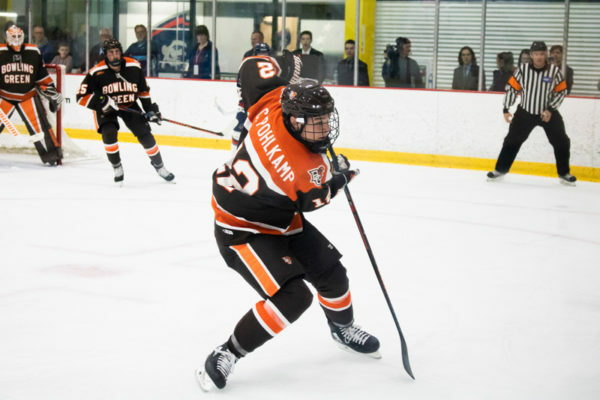 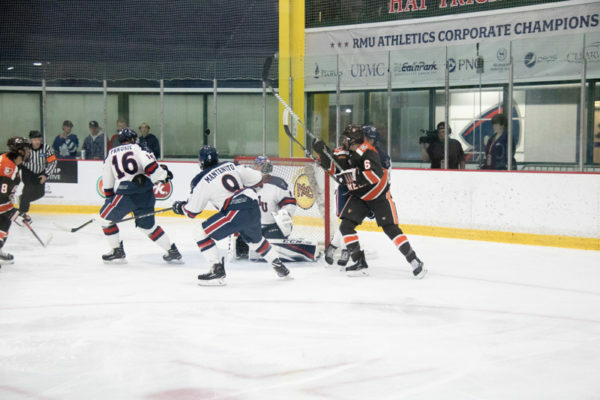 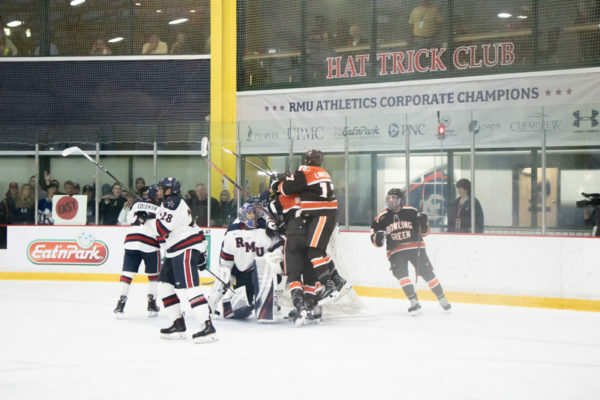 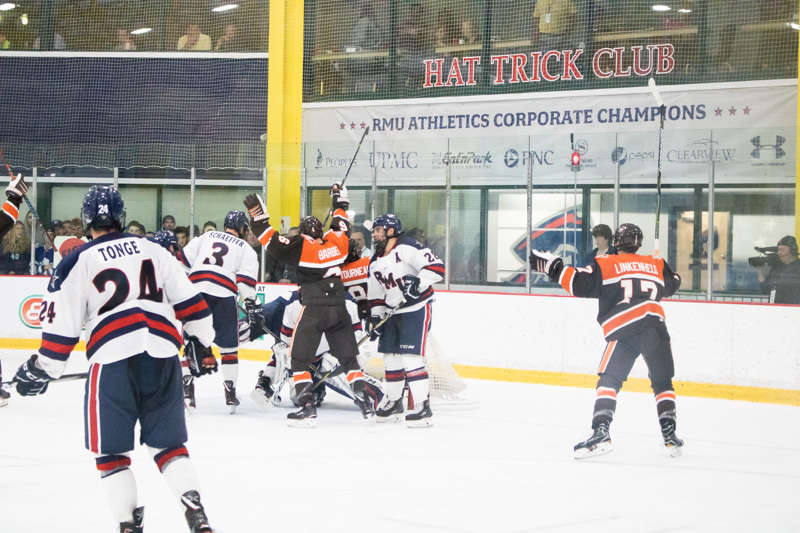 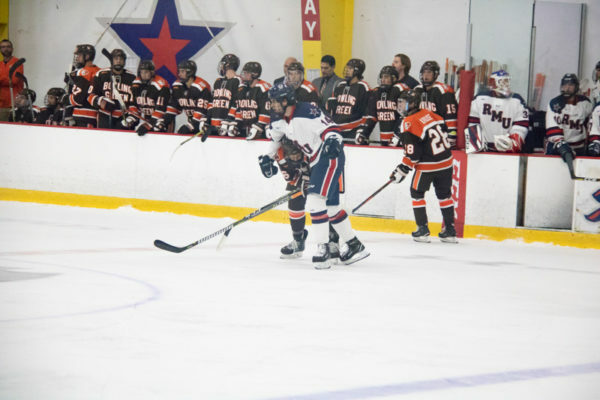 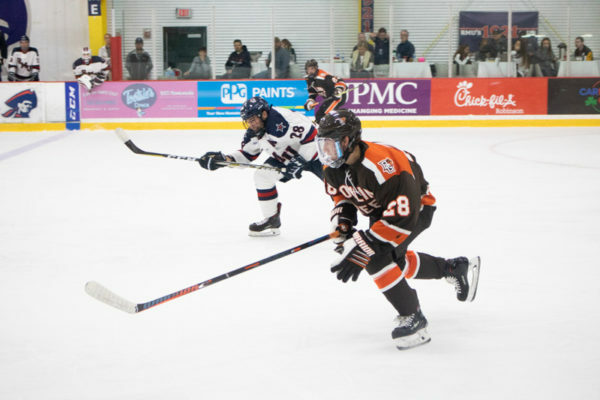 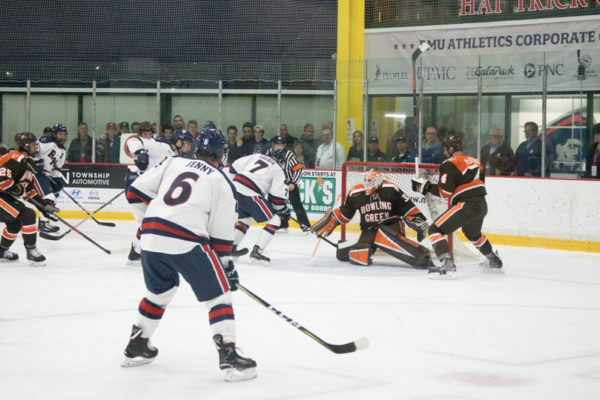 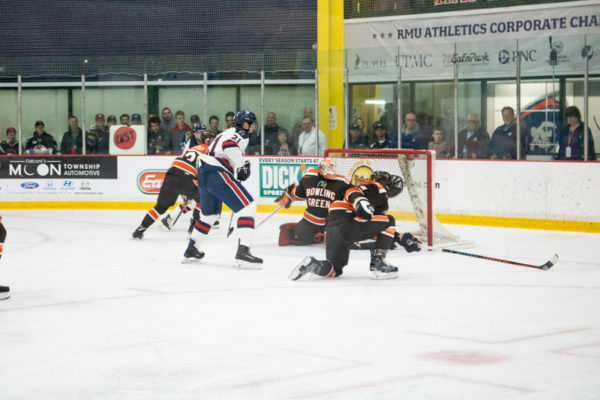 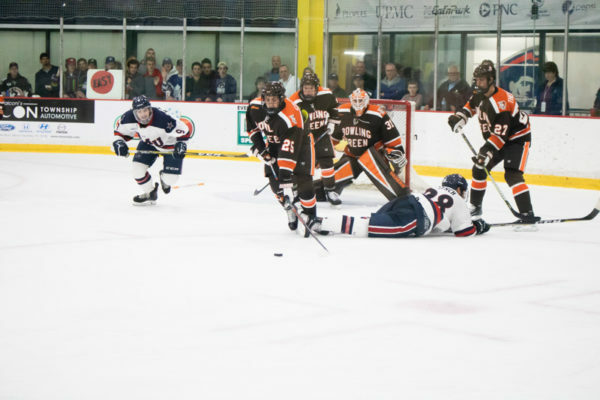 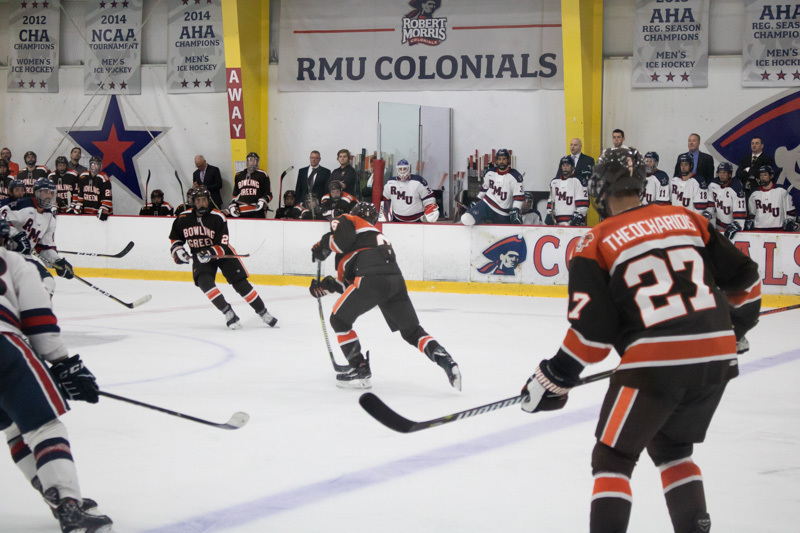 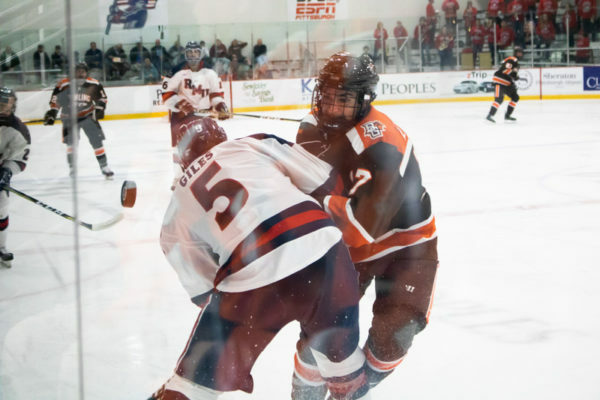 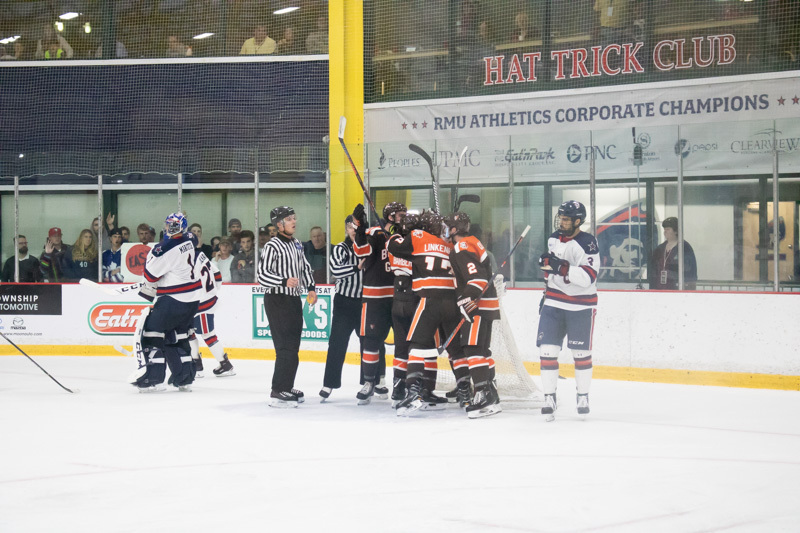 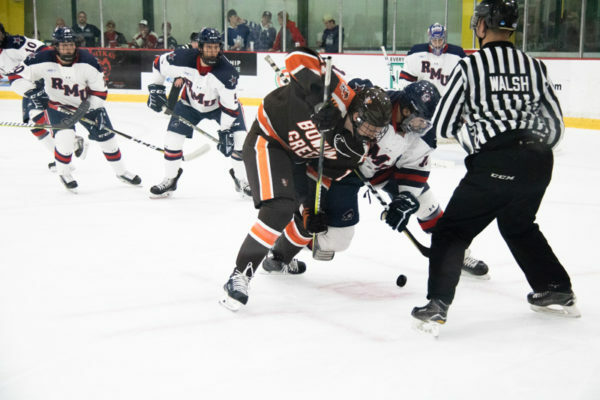 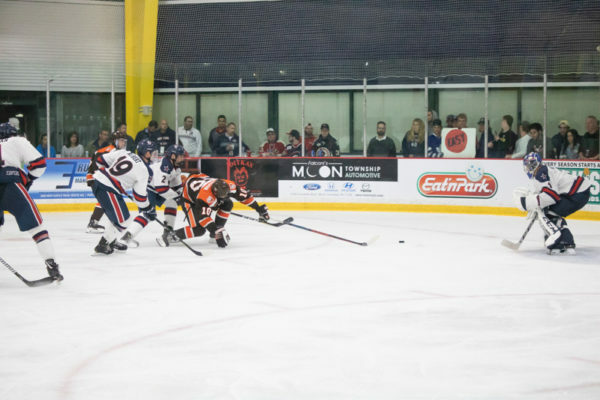 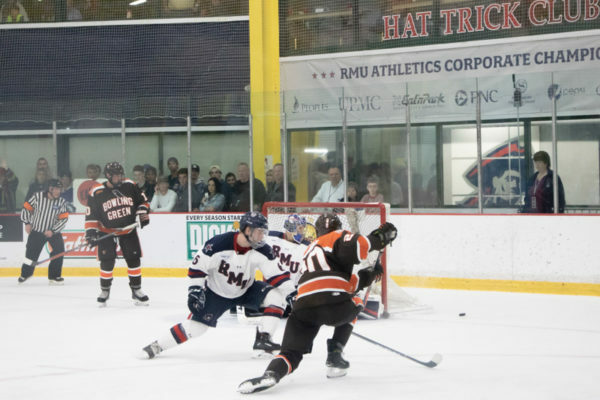 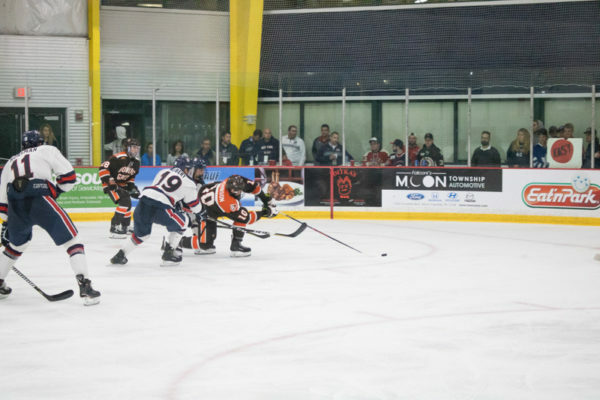 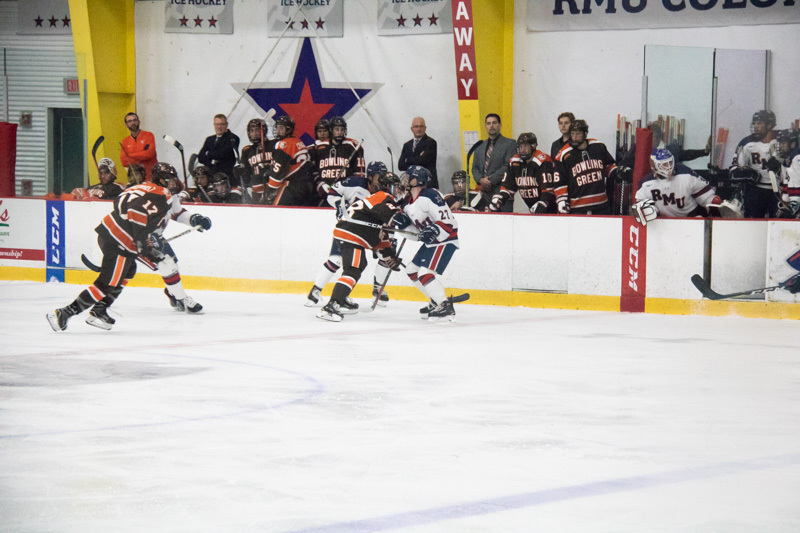 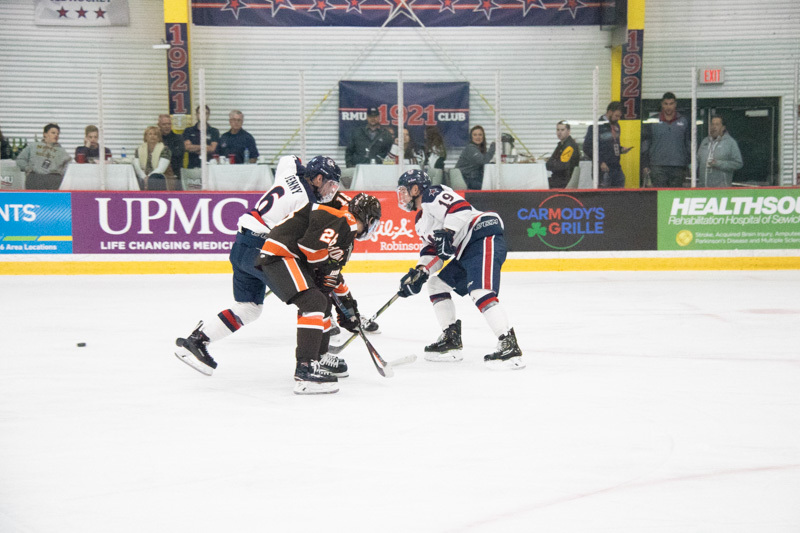 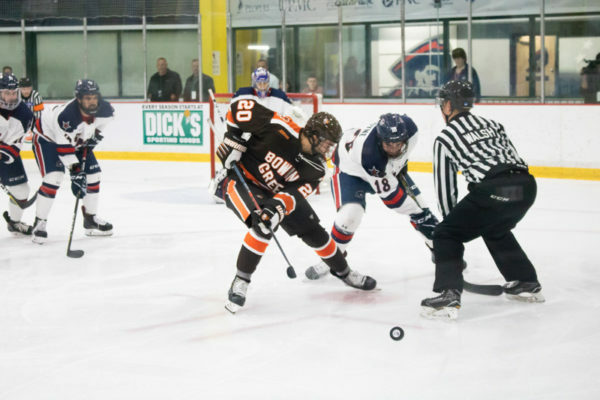 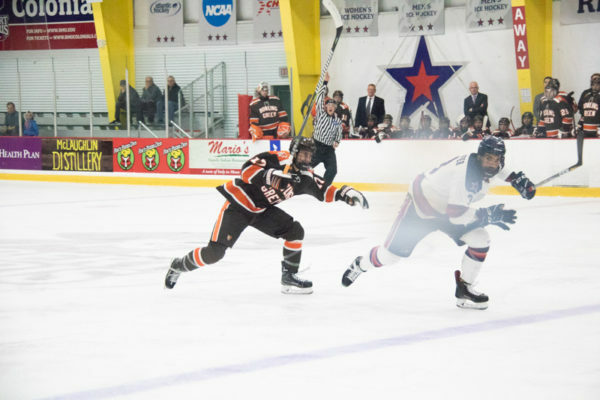 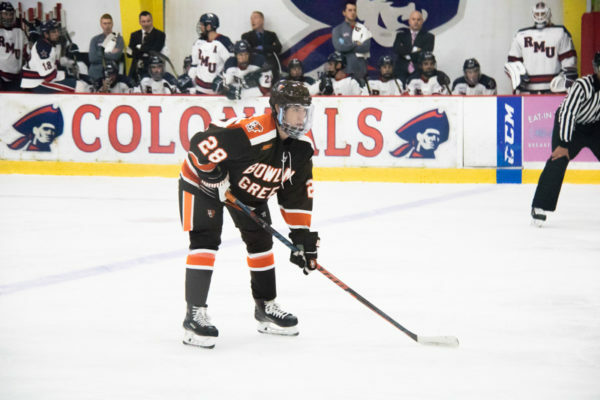 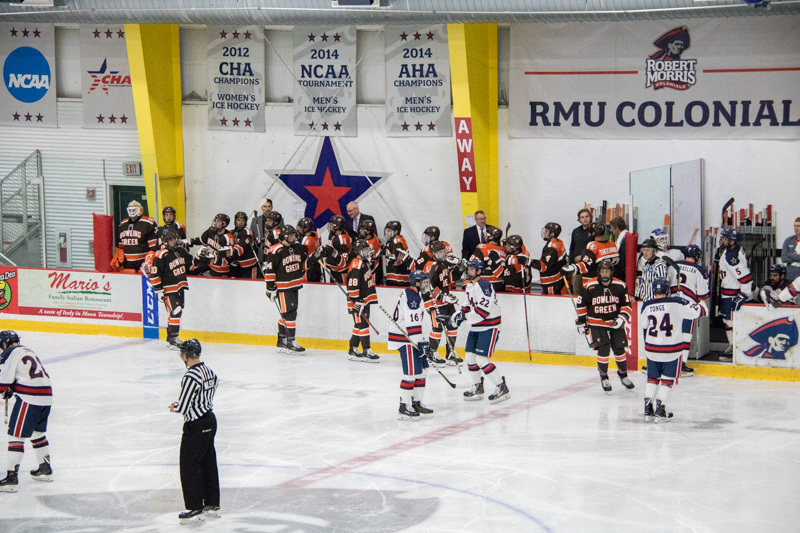 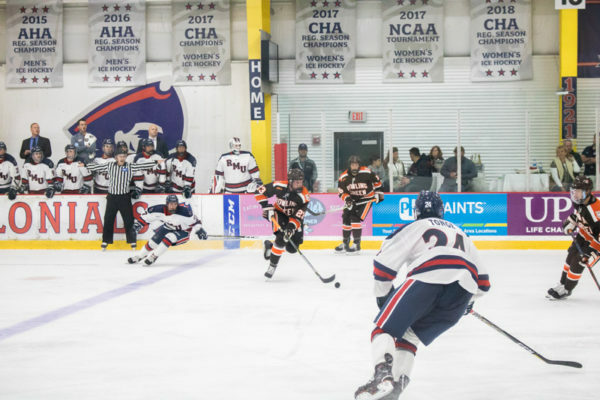 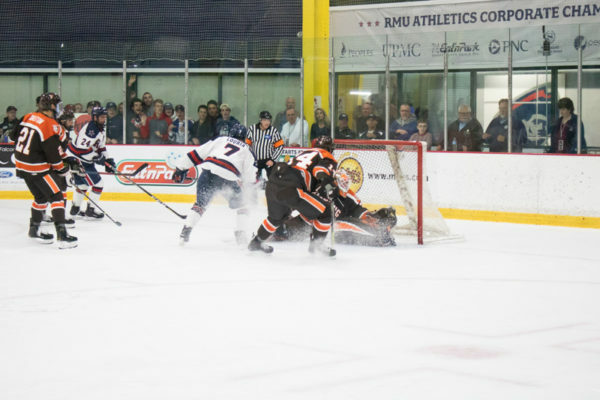 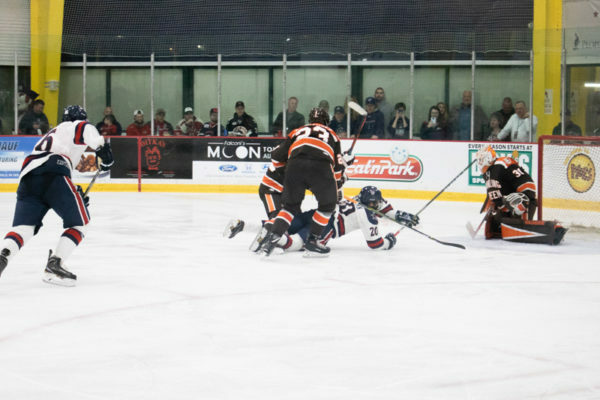 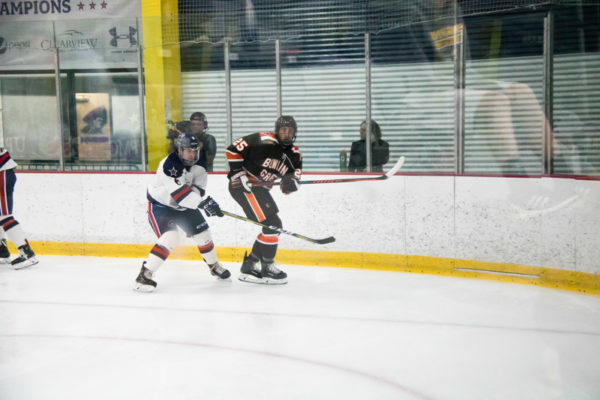 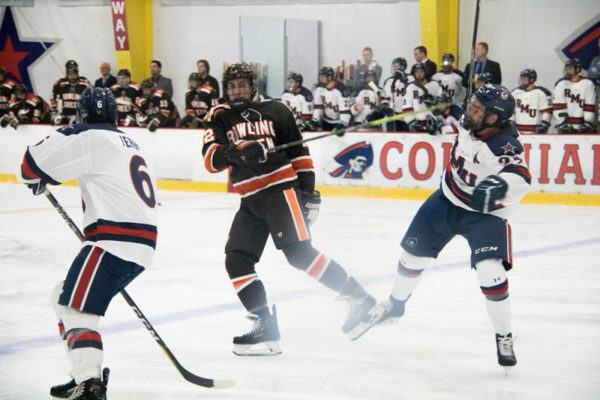 Pittsburgh, PA – The 20th-ranked Falcons’ discipline and special teams struggled Friday night against the Robert Morris Colonials. 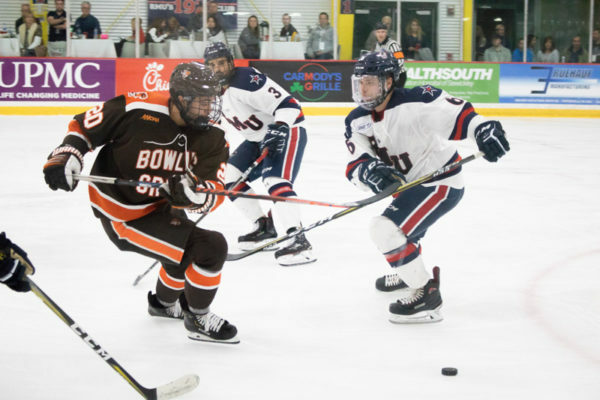 The power play was fruitless on five chances and the penalty kill, which was forced to defend seven chances, gave up two power-play goals en route to a 3-2 loss. Eric Dop made his first start of the season, stopping 25 of 28 shots faced. Francis Marotte had 37 saves on 39 chances for Robert Morris. Neither team was able to crack the scoreboard in the first period. 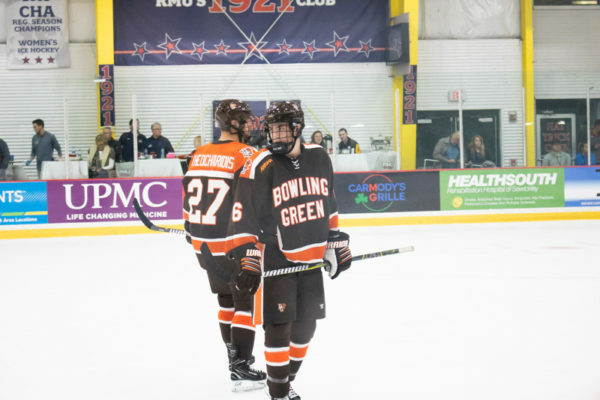 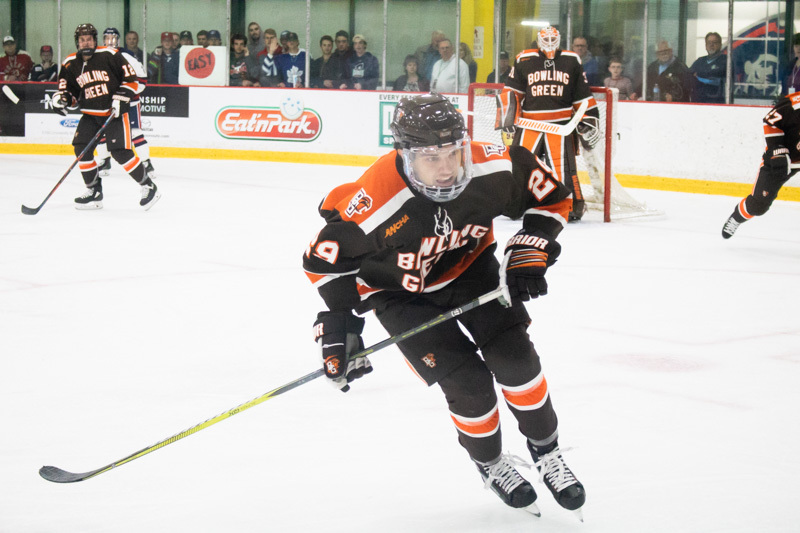 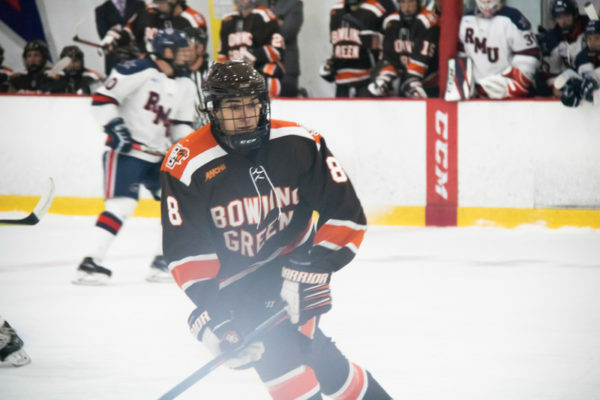 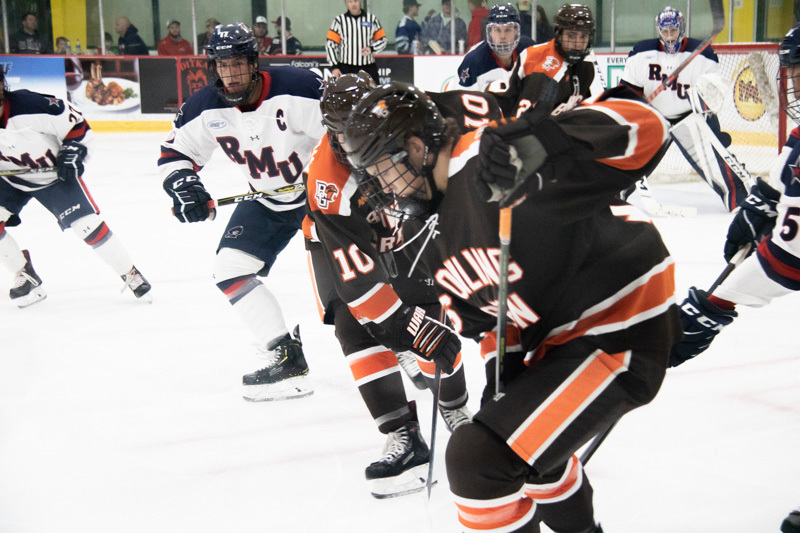 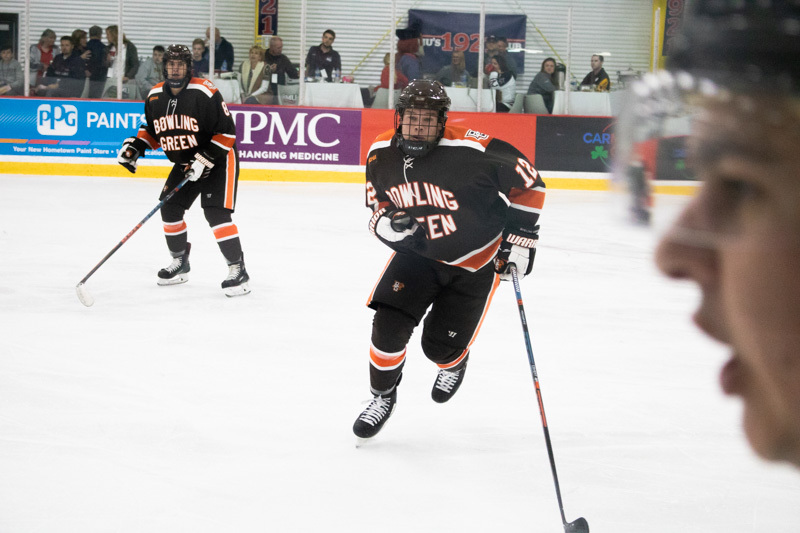 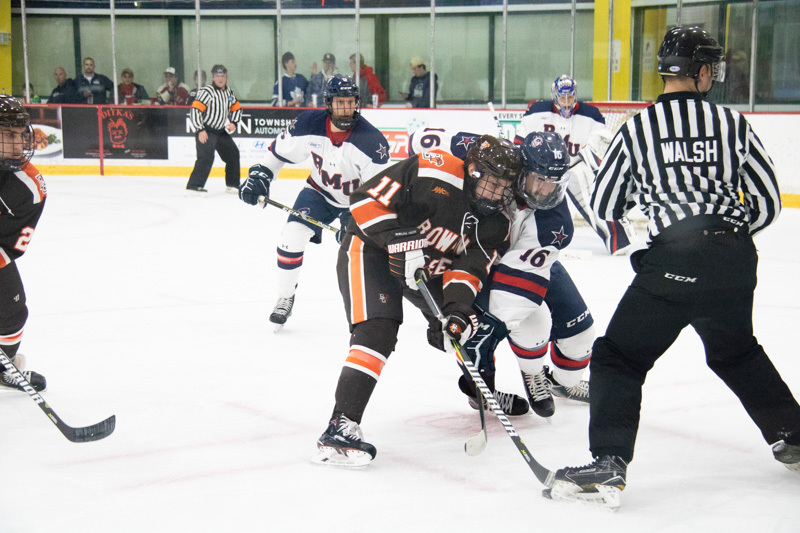 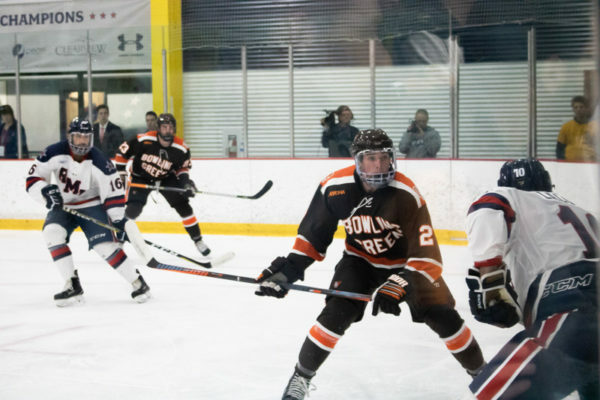 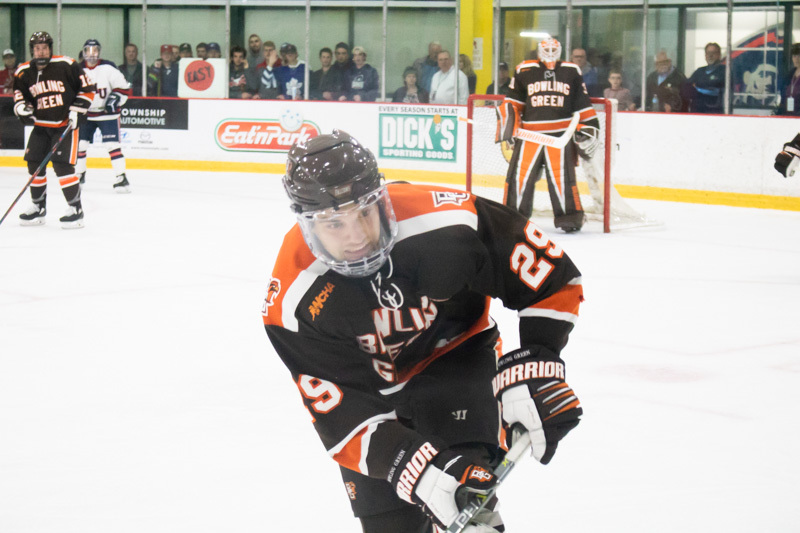 Bowling Green had 13 shots in the opening period while Robert Morris had nine chances. 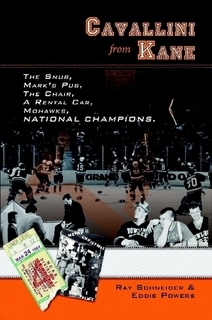 Bowling Green scored the game’s first goal at 3:50 of the second period. 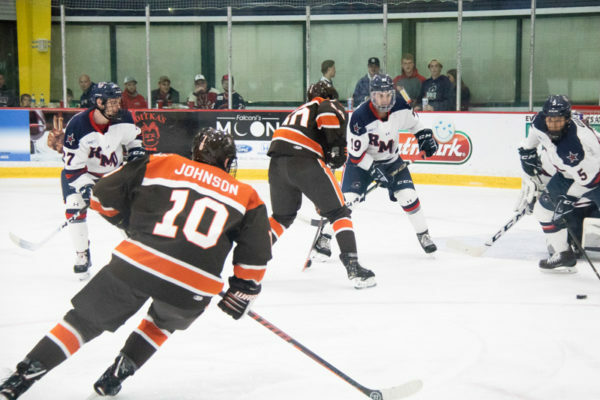 Max Johnson had an initial shot on Marotte that popped up into the air. 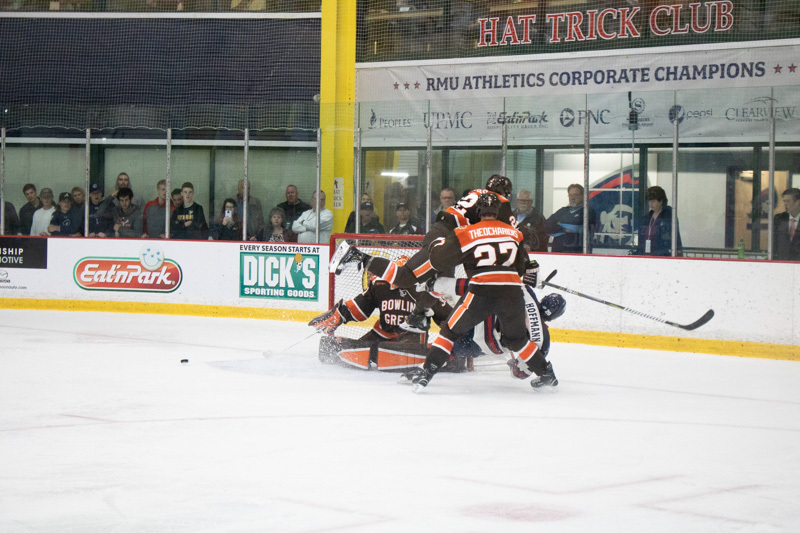 Cam Wright knocked the airborne puck into the net for his second goal of the season. 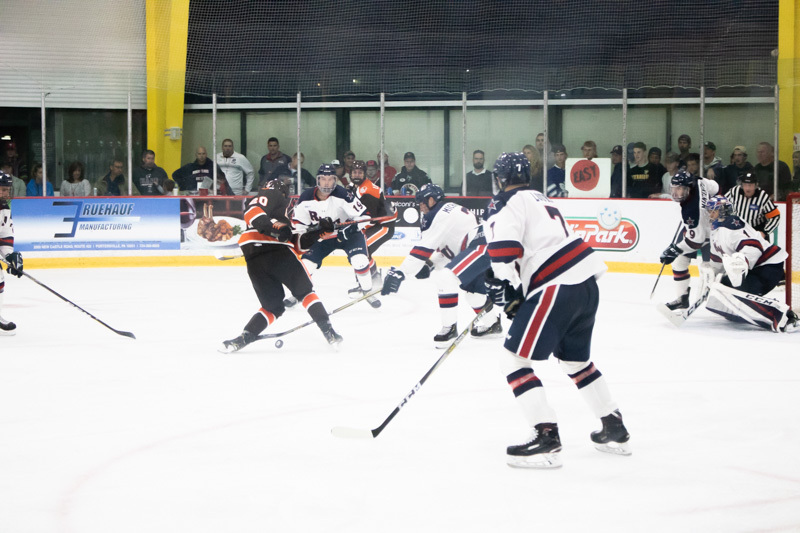 Brandon Kruse had the secondary assist on the play. 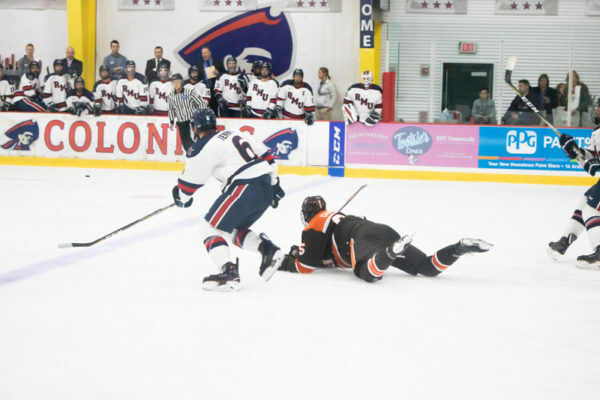 The Colonials added a couple power-play goals as Lukas Craggs served a five-minute major and game misconduct for contact to the head. Nick Prkusic (13:41) and Michael Louria’s (13:56) goals gave Robert Morris a 2-1 lead. 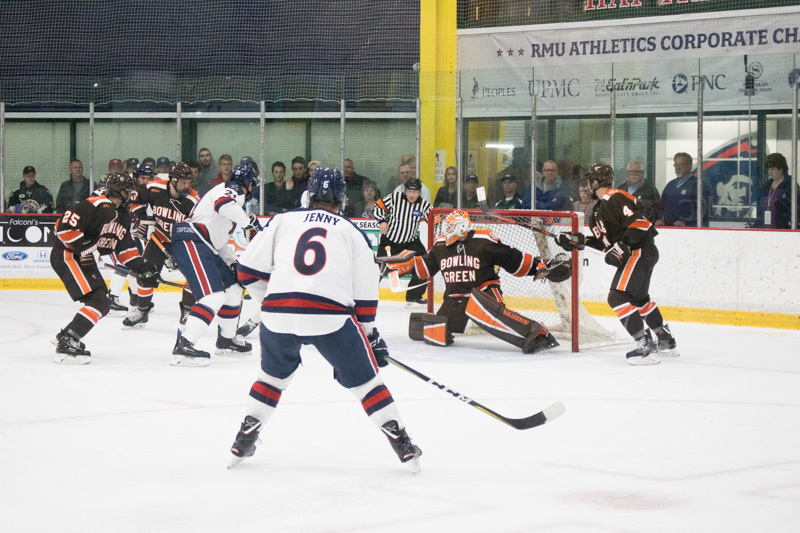 The Falcons finished the second period with 12 shots on net while the Colonials had 10. 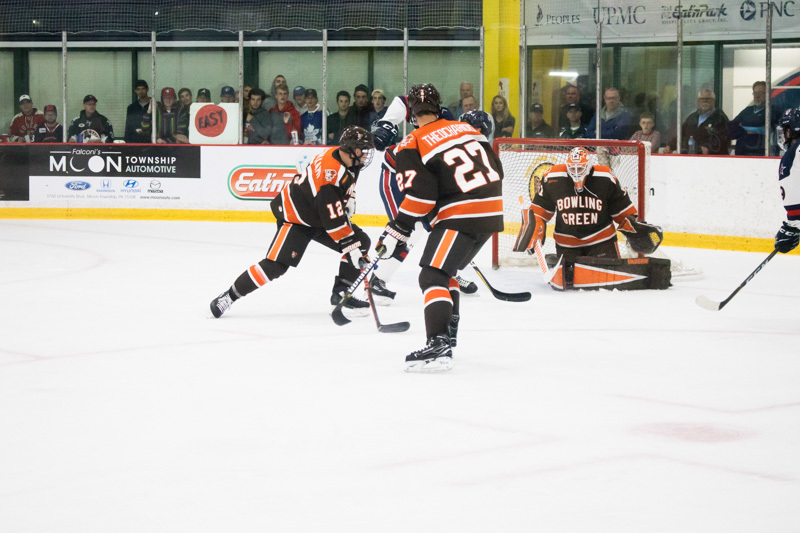 The Falcons tied the game at 2-2 at 9:15 of the third period. Casey Liinkenheld forced a turnover in the corner and found Alex Barber in front of the net. 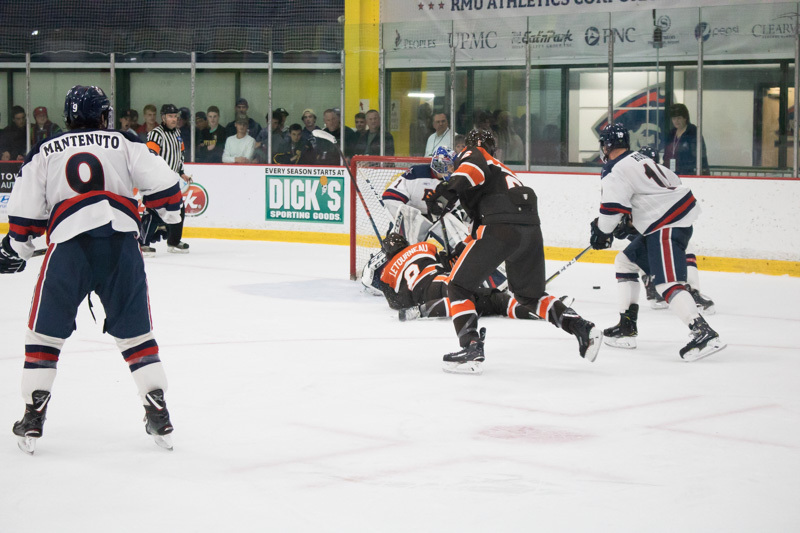 Barber got an initial shot on net, but Frederic Letourneau sent the puck past Marotte for his first goal of the season. 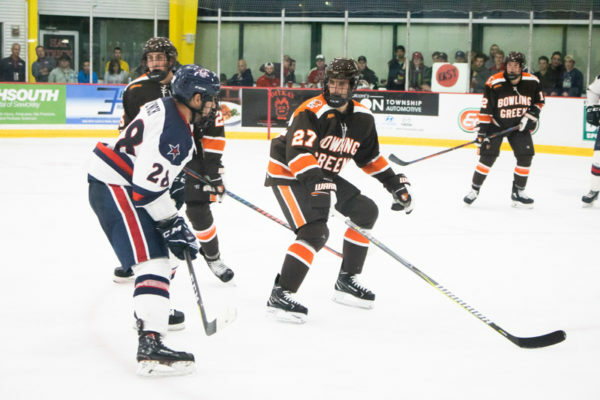 Barber’s assist was the first of his collegiate career. The Colonials re-took the lead at 11:36 of the third period. Alex Tonge sent home a rebound from Daniel Mantenenuto to push the score to 3-2. Bowling Green pulled Dop with 1:40 to play in the game, but were unable to find the game’s tying goal as the Colonials won 3-2. 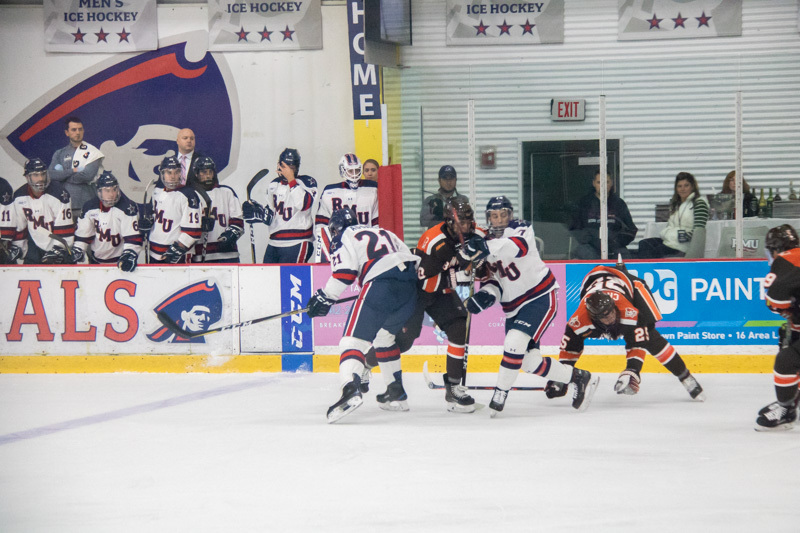 The Falcons had 14 shots in the final period while the Colonials had nine chances. 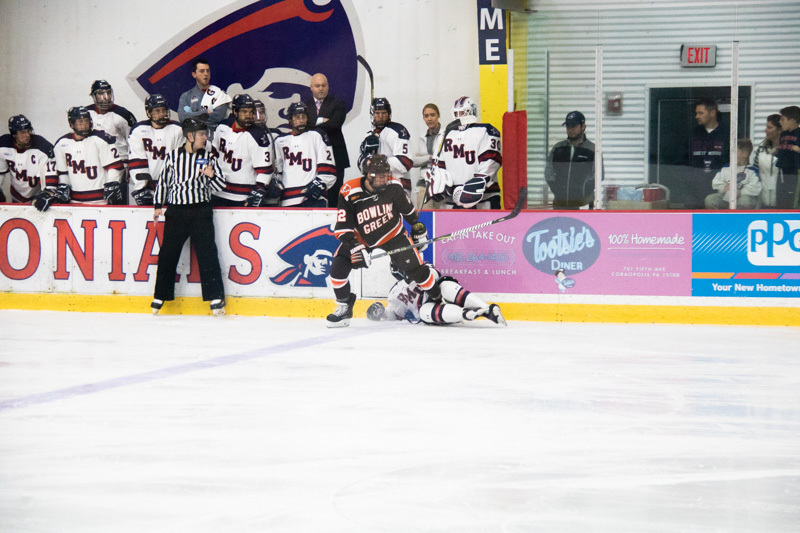 With the loss, the Falcons fall to 2-1-0, 0-0-0-0 on the season. 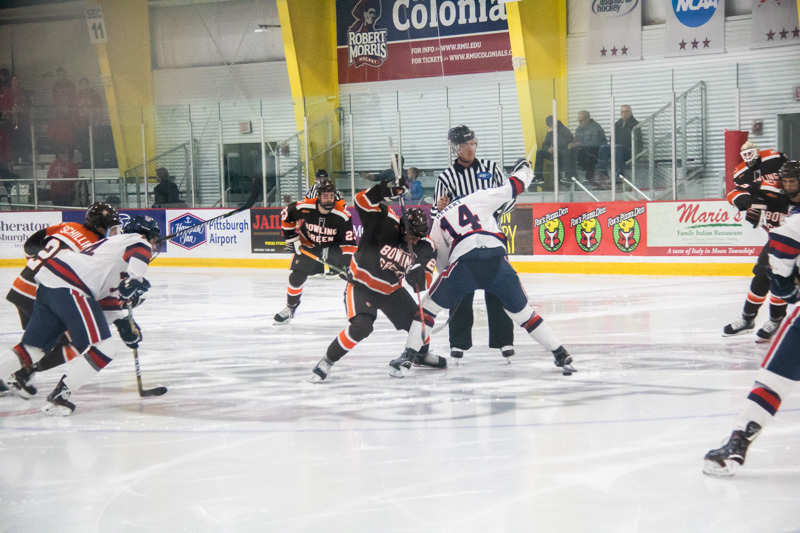 The Colonials improve to 1-0-0, 0-0-0-0.